Do you have big plans for Fourth of July next month? 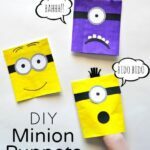 Looking for a fun activity to keep the kids busy during your family barbecue and other festivities? We have the perfect solution. 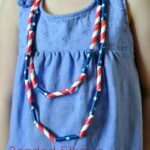 These Patriotic DIY Bubble Wands not only scream summer time fun but they are super simple to make! 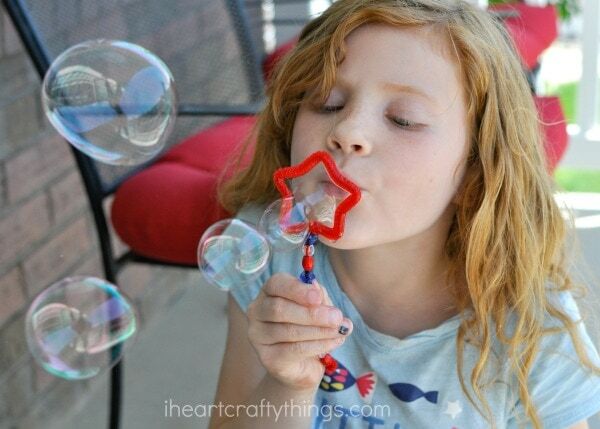 Kids will love using their creativity to create a custom DIY bubble wand and then the fun really begins when they get to use it for some summer bubble blowing fun! 1. 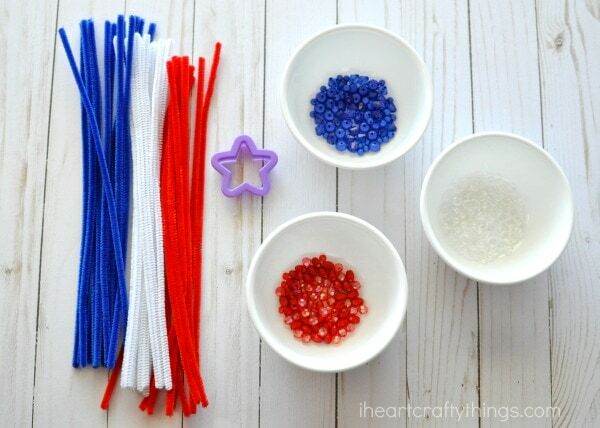 Begin by setting out your pipe cleaners, colorful beads and a small star cookie cutter on a table for kids to make their patriotic DIY bubble wands. 2. 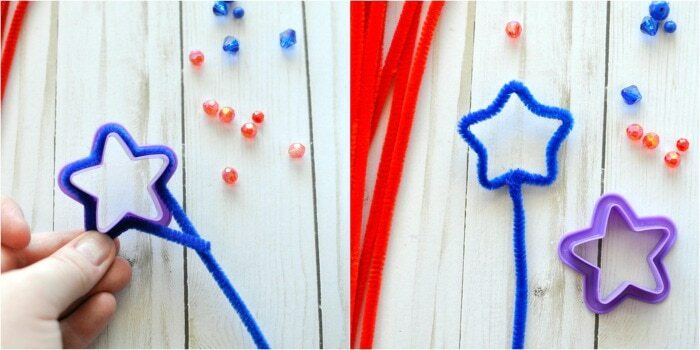 To make a DIY bubble wand, wrap a pipe cleaner around your small star cookie cutter leaving a little excess pipe cleaner at the start of the cookie cutter. When you reach the end of the cookie cutter wrap the excess around to close the star shape. The rest of the pipe cleaner becomes your bubble wand handle. 3. 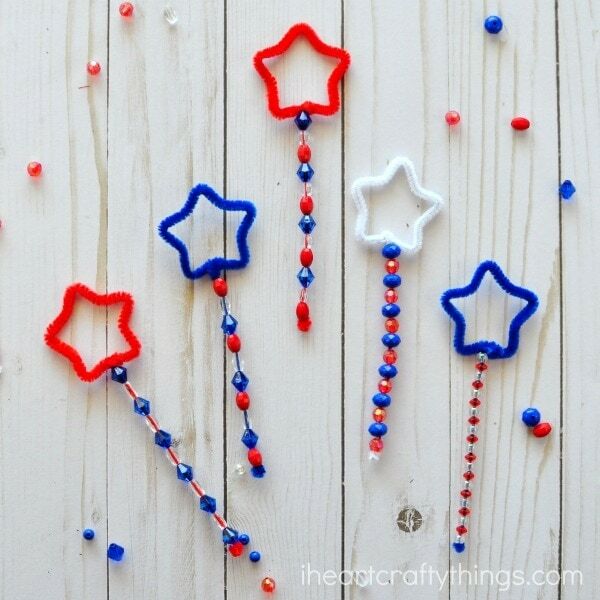 Fill your bubble wand handles with your colorful red, white and blue beads. When you reach the end of the pipe cleaner handle, bend the end of the pipe cleaner up and scrunch it up into a ball to keep the beads in place. If you notice the star shape didn’t keep very well after kids add beads onto their wand (especially the little ones), simply place the wand back into the star cookie cutter shape again to help mold it back into place. 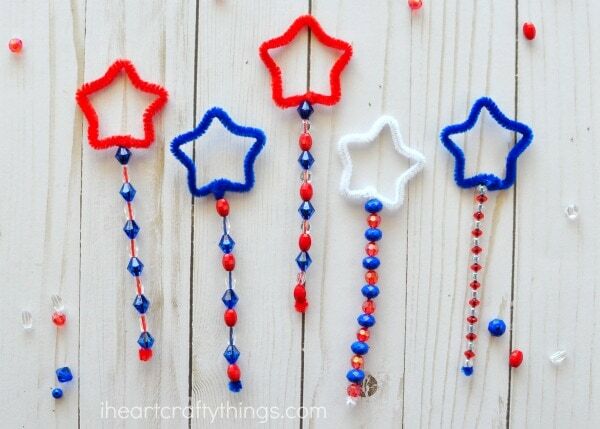 Now it’s time to play with your Patriotic DIY Bubble Wands! Pour some bubble solution into a shallow dish. 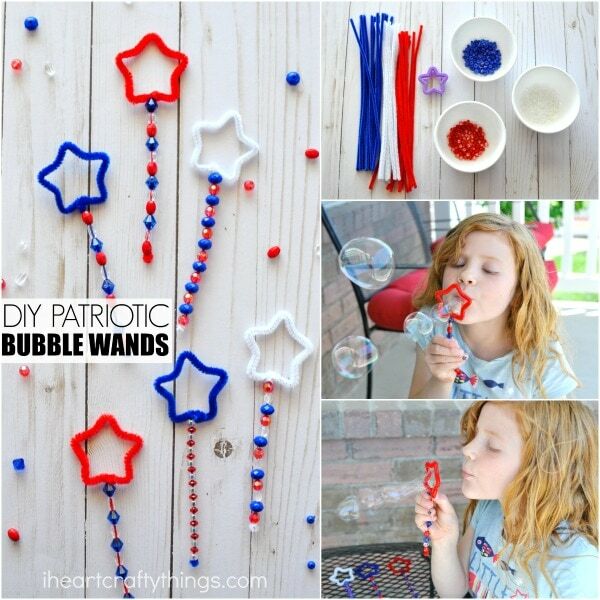 Dip your DIY bubble wands into the solution. Now you can blow out some amazing bubbles. 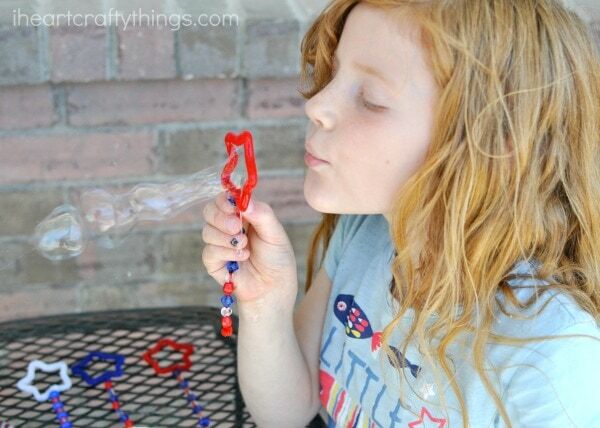 We used store bought bubble solution with our bubble wands and it worked fantastic! It’s a great time of year to stock up on some, especially once you start making your own bubble wands. You could also make your own bubble solution with water, dish soap and corn syrup. 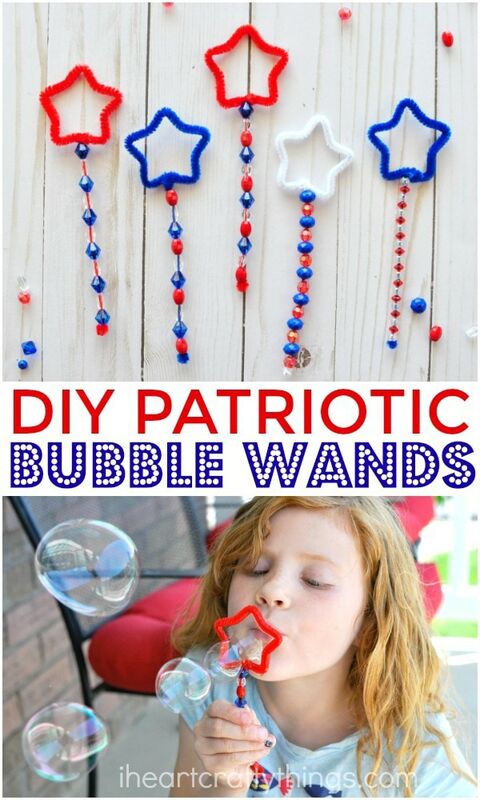 The kids are going to have so much fun with these Patriotic DIY Bubble Wands that they’ll want to make them all summer long! Try different cookie cutter shapes and a variety of different bead colors for extra fun. 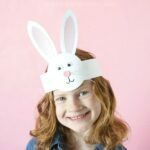 Looking for more Summer fun ideas for kids? You’ll definitely want to add these DIY Funny Face Flip Books and simple Color Scavenger Hunt to your summer fun list! I Wicked Love Them!! Have To Share On My Page “Magic Muic Time.” Thanks So Much!